The Metal Robots team from Canton won the Junior Exhibition competition at the Robofest World Championships. From left to right are Lego Education representative Ivery Toussant, LTU President Virinder Moudgil, Darren Tascillo, Jonathan Mi, Krishna Gogineni and Toyota representative Yan Liu. Michigan teams finished first in three of the six major categories at the 15th annual Robofest World Championships held May 17 at Lawrence Technological University. 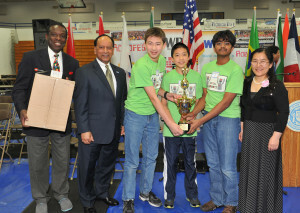 Over 70 teams competed in the final round of competition, including teams from nine other states besides Michigan – Ohio, Texas, Minnesota, Florida, Hawaii, California, Missouri, Indiana and Washington – and eight other countries – Canada, Mexico, South Korea, China, India, South Africa, Brazil and France. College Vision Centric Challenge: Luxrobo, Seoul, South Korea. Senior Vision Centric Challenge: BOG, Seoul, South Korea. Junior Exhibition: Metal Robots, Canton, Michigan. Junior Game: Hoben iTerrifics, Canton, Michigan. Senior Exhibition: Dragons, Vanderbijlpark, South Africa. Senior Game: NCA Lights, Northville, Michigan. 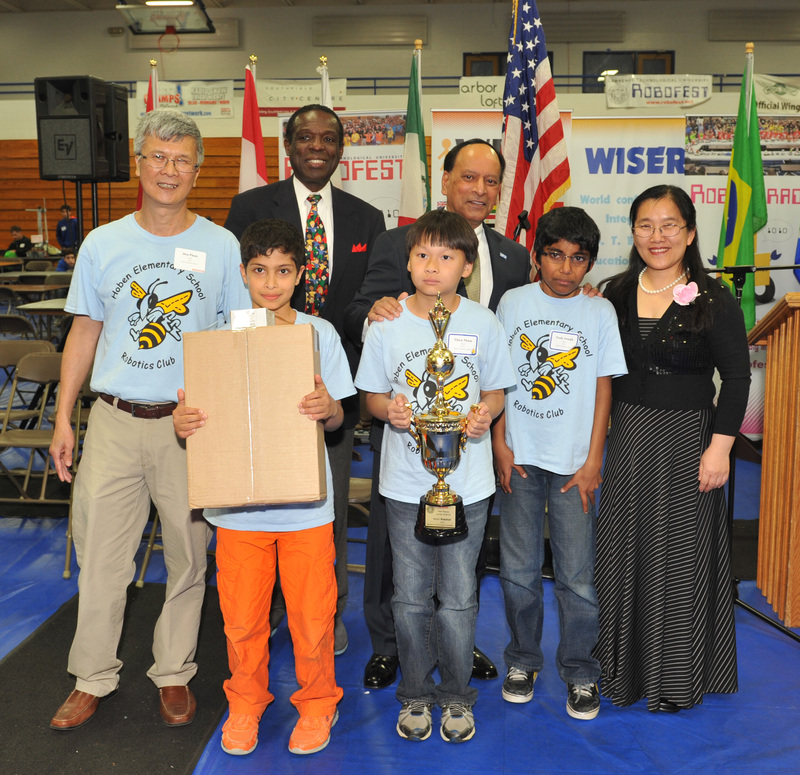 The Hoben iTerrifics team from Canton won the Junior Game competition at the Robofest World Championships. In the back are (L-R) coach Hoa Pham, Lego Education representative Ivery Toussant, LTU President Virinder Moudgil and Toyota representative Yan Liu. In the front are Amin Jazaeri, Thien Pham and Noah Joseph. The People’s Choice Award in the Michigan Exhibition category went to RoboClimbers and RoboCruisers, both of Canton. The Doge team from Farmington Hills was second in the Senior Vision Centric Challenge. RoboCruisers of Canton finished second in the Senior Game. Students from the Shanghai University of Engineering and Science who are studying at LTU finished second in the College Vision Centric Challenge. Demonstrating the geographic diversity of the competition, the five winners of the Best Team Photo Award came from Brampton, Canada; Belton, Texas; Newark, Ohio; Seoul, South Korea; and Paris, France. Now in its 15th year, Robofest recently was named the national organizer for the United States for the World Robot Olympiad Association(WRO-USA), which runs a global LEGO robotics competition that draws participants from around the world. WRO Secretary General Claus Ditlev Christensen of Denmark spoke at the Robofest World Championships. 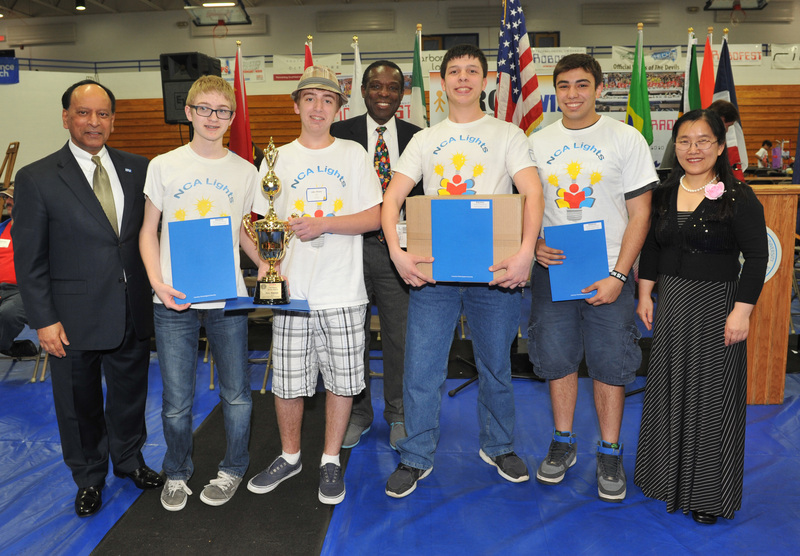 The NCA Lights team from Northville won the Senior Game competition at the Robofest World Championships. From left to right are LTU President Virinder Moudgil, Ben Lenze, Alex Perry, Lego Education representative Ivery Toussant, Bryan Brauchler, Nick Nunu and Toyota representative Yan Liu.